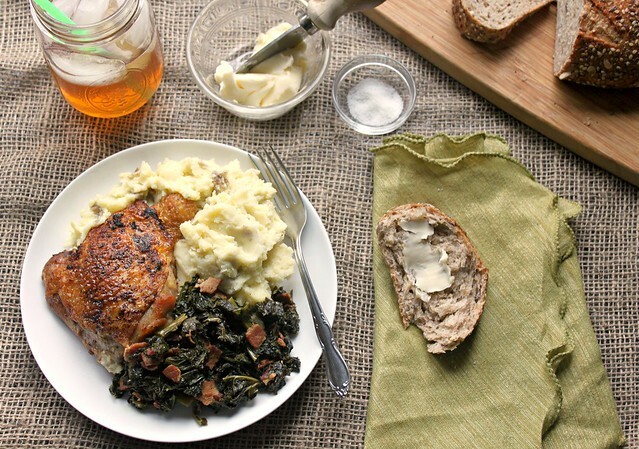 Kitchen Snaps: Crispy Chicken Thighs with Mashed Potatoes and Kale ~ Tonight's Dinner! 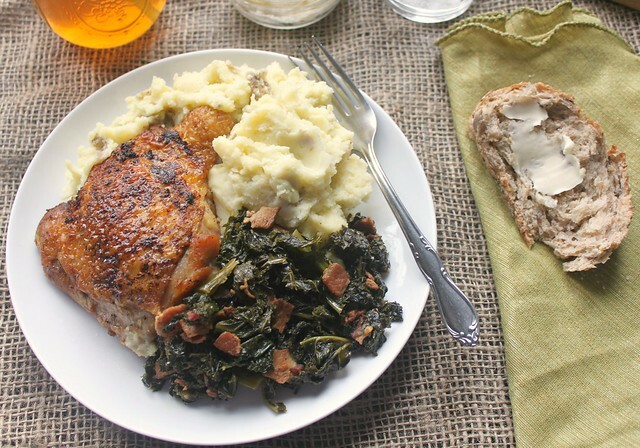 Crispy Chicken Thighs with Mashed Potatoes and Kale ~ Tonight's Dinner! As mentioned in the attached post, this complete dinner takes a little bit of multi-tasking in the kitchen, but it's nothing you can't handle! It's feel good, comfort food at its finest...so grab that adorable (or manly man) apron, rustle up a few pots and a pan ~ and start making magic!